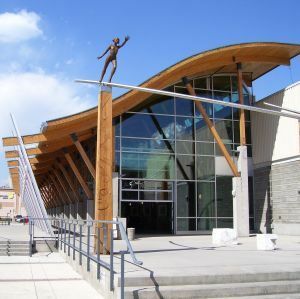 Located in the heart of Kelownaâ��s Cultural District, the Rotary Centre for the Arts is a multidisciplinary visual and performing arts centre. 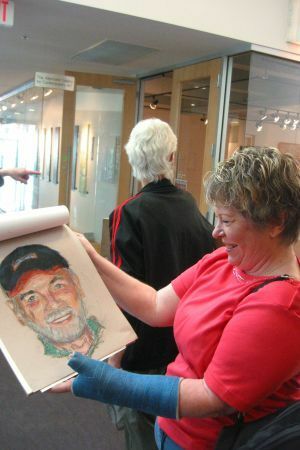 At the Rotary Centre for the Arts, the community can experience artists and performers in action or take part in interdisciplinary courses and workshops in visual art, dance, theatre and music year-round. The facility includes a 326-seat theatre, a set-building workshop, eight artist studios used by individuals and groups, a painting & drawing room, dance studio, pottery studio, rehearsal hall, music room and multipurpose meeting room. Also featured at the Rotary Centre for the Arts is the Alternator Gallery for Contemporary Art, Gallery 421, Staccatos Bistro and the spacious Atrium, which includes an open space courtyard and outdoor stage for both public and private events. At the Rotary Centre for the Arts, we continually strive to improve the economic, cultural and social quality of life in the community by fostering the participation in, and appreciation of the arts. 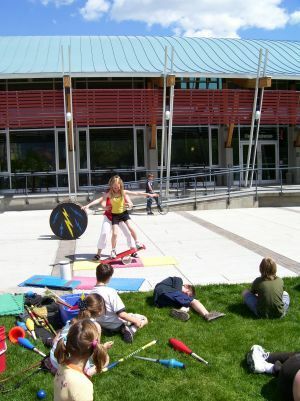 As a world-class facility celebrating creative expression through diverse art forms and disciplines, the Rotary Centre for the Arts is a unique venue in which local talent and individuals of all ages and backgrounds can come together to share in the excitement of developing and strengthening art and culture in the Okanagan. The Rotary Centre for the Arts is proud to announce the RCA Spotlight Series presented by Tree Brewing. The series feature 12 of Canada's Top Touring acts in the lovely Mary Irwin Theatre with local professional artists "opening" in the Atrium. The series include a free pre-show performance at 7pm in the Atrium. The pre-show features local professional entertainment - everyone is welcome to this free event! We invite you to â��Mingleâ�� after the performance for a short professional artist conversation and autograph signing, to be moderated by local radio personalities. Each chat will start a few minutes after the show and run no longer than 30 minutes. This is your opportunity to learn more about the artists background, their interpretation of the work and what makes them tick! Kelownaâ��s leading arts organizations, ArtsCard was designed to inspire, educate and compel the consumer to celebrate arts & entertainment. Audiences enjoy a FREE virtual online directory of Kelownaâ��s Arts & Entertainment listings. By signing up as a newsletter subscriber, subscribers receive weekly electronic ArtsCard updates and are eligible for a MONTHLY FREE TICKET DRAW! As a promoter or presenter of an event, you are eligible to participate in the ArtsCard program. ArtsCard is a valuable and inexpensive marketing collective that brings added excitement and visibility to your event!